The Inkey List Skincare Launched at Feelunique - Introduction and Review! There has been a lot of buzz surrounding The Inkey List since their launch this summer, especially after the issues with another budget skincare brand within the beauty community. The Inkey List is a new skincare brand which has been developed by experts, and delivers simple, single ingredient led formulas at purse friendly prices. 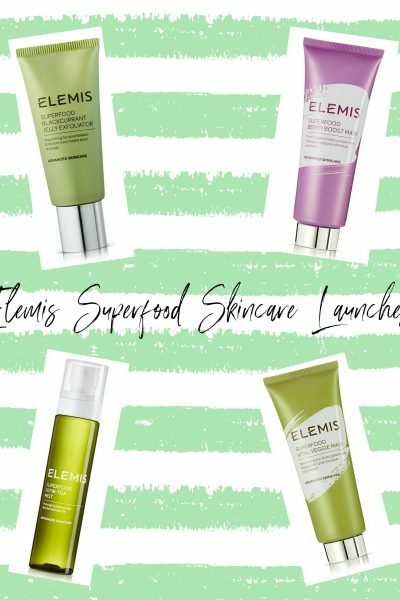 The collection of 15 hero ingredients have been selected to address a whole range of skincare concerns; from super-hydrating hyaluronic acid to clarifying kaolin, create your own customisable regime that’s tailored to your skin. The The Inkey List are available from Feelunique and I couldn’t wait to get my hands on some of their products after hearing some really great things about the brand. 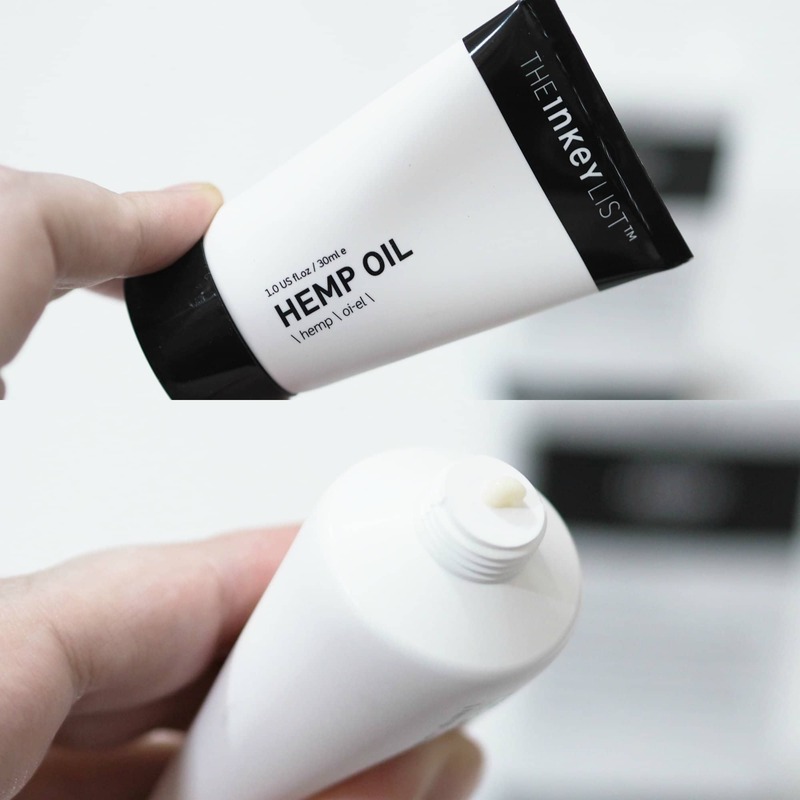 The Inkey List have a really sleek monochrome design for their products which is quite simple but I like the whole fuss free packaging as you know your money is going on the quality of the formula and not the packaging which you’ll only throw away once finished. I knew The Inkey List were an affordable skincare brand but I’m really surprised by how affordable everything is, with the fifteen products being priced between just £4.99 and £9.99. I have been trying five of the fifteen products on offer so I can report back my opinions on each one. For every product I’m including the description, the listed benefits and information as I’m not a skincare expert so I’d rather I included the facts for each product and then my impressions for each product. The INKEY List Retinol Serum helps to stimulate the renewal processes in the skin resulting in brighter, smoother skin. As we get older the rate at which our skin renews itself slows. Retinol works beneath the skin surface at a cellular level to promote cell renewal and repair processes so that newer cells reach the surface quicker. Retinol a powerful ingredient for reversing signs of aging as well as improving overall skin clarity for a healthy looking complexion. Using retinol can aid with a number of skin concerns such as reducing the appearance of fine lines, wrinkles, uneven skin tone and pigmentation issues making it an all-round must have for healthy looking skin. – Slow release formula for low irritation and effective active delivery. – Squalane for hydration and soothing. – Paraben free, fragrance free. Whilst retinol is famed for its ability to fight signs of ageing, it can be beneficial for all ages and starting use in the mid-twenties can have huge benefits for the skin. 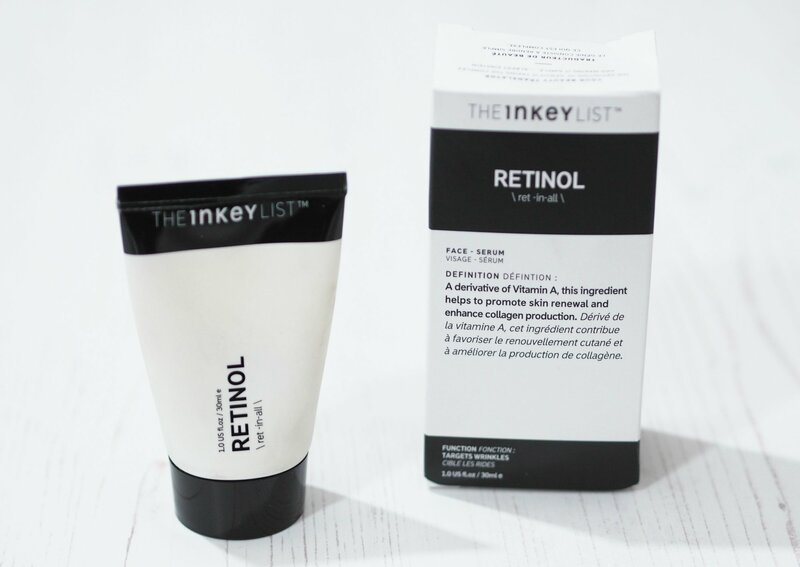 The Retinol is guaranteed to be one of The Inkey List’s most popular products and I couldn’t wait to try it. The recommendation for application is in the evenings after cleansing and toning before applying any other serums. Use a pea sized amount to the fingers and gently tap into the skin. The consistency is a little thick straight from the tube so I rub my forefingers together and it warms the serum a little which is then easy to ‘tap’ into the skin. I don’t notice a scent and it’s quite quick to absorb, and my other serums layer well over the top. I think this is a really great retinol to add to your routine as it’s so affordable and is seen as a wonder ingredient for fighting the signs of aging. 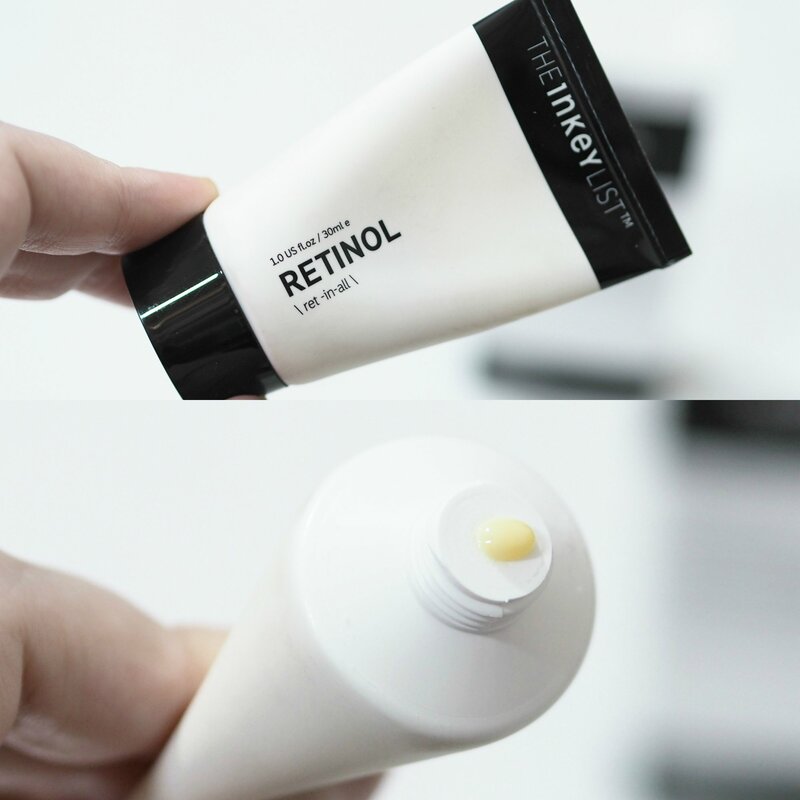 I have very sensitive skin but I’ve not had any issues when using The Inkey List Retinol and I like that it can be used under my other serums without balling up or feeling tacky underneath. The INKEY List Vitamin C Serum contains a powerful multifunctional antioxidant that helps to protect skin from damage caused by environmental pollution. A hero ingredient, Vitamin C has a host of benefits to both prevent and correct signs of damage. Adding Vitamin C to your skincare regime can help reduce the impact of daily stressors on the skin such as pollution and sun exposure, which can lead to pigmentation, accelerated signs of ageing and a dull complexion. Vitamin C also works to actively brighten and even skin tone and tackle signs of ageing. It has been shown to boost collagen production which gives skin its plumpness and elasticity. – 30% pure, stable, L-ascorbic acid for optimum results and low irritation. Vitamin C is recommend for everyone wanting healthy looking skin. 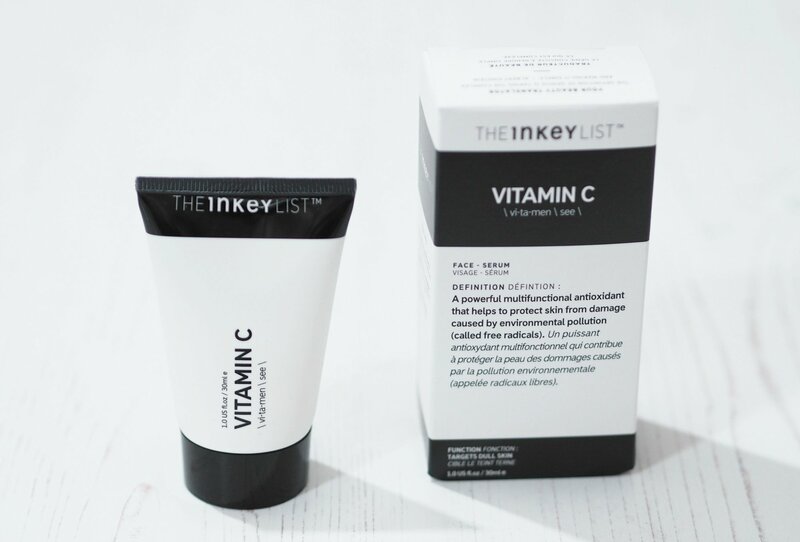 The INKEY List Vitamin C has a high concentration at 30%, and has been formulated using Vitamin C in its pure form, L-ascorbic acid for a low irritation, stable product. If you’re new to Vitamin C, or have more sensitive skin, you may wish to mix The INKEY List Vitamin C Serum with other serums or your moisturiser to begin with, until your skin builds up tolerance. For best results use in the morning on cleansed face and neck. Follow with moisturiser. 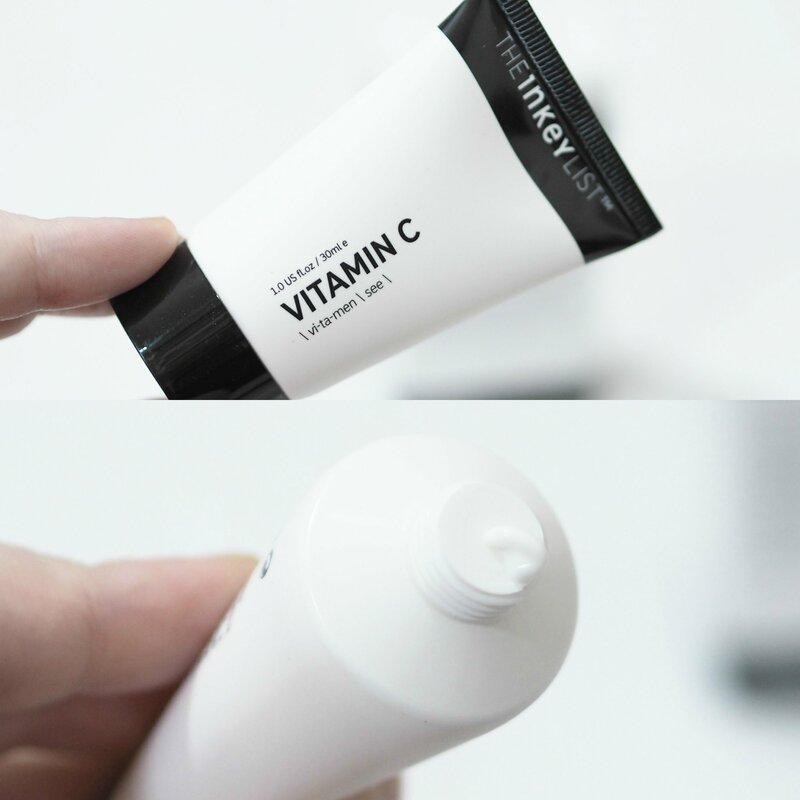 Vitamin C can be mixed with your moisturiser or serums if desired. I’ve tried a few vitamin C serums and I do have to do an every other day method or it’s a little too much for my skin. The consistency is a little strange as it starts a cream but it feels like a dry oil when smoothing into the skin. 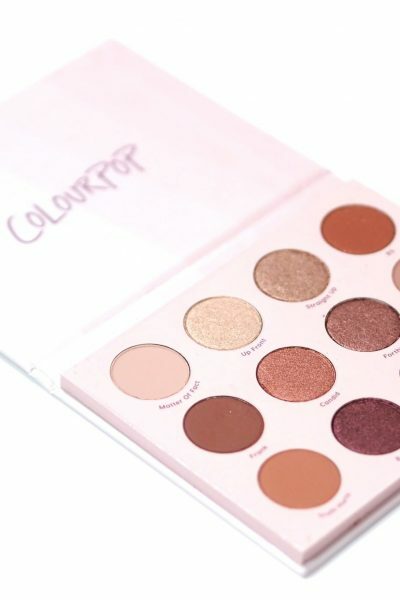 I do notice that the Vitamin C can make anything underneath ball up which isn’t an issue at night, but it doesn’t work for the mornings for me when trying to layer makeup over the top. I think this is my least favourite The Inkey List product from the five I’ve tried as I’ve enjoyed other Vitamin C formulas a little more. 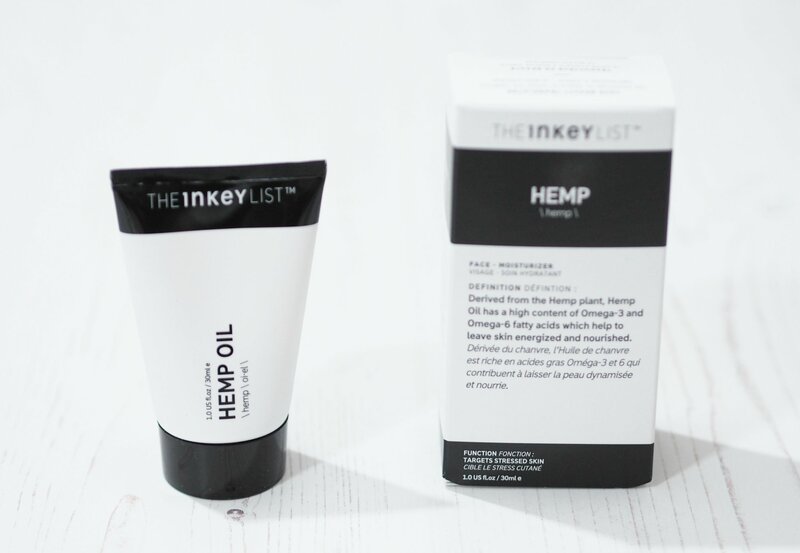 The INKEY List Hemp Oil Cream Moisturiser calms irritated and stressed skin. Derived from the Hemp plant, Hemp oil has a high content of Omega-3 and Omega-6 fatty acids which help to leave skin energised and nourished. A soothing, rich yet lightweight moisturiser, the Omega-3 and Omega-6 fatty acids in The INKEY List Hemp make it particularly useful for calming, and for those with dryer skin or skin that needs a nourishment boost. Whilst perfect for dryer skin, Hemp is also benefical for skin that just needs a nourishment boost if it has become irriated or dehydrated by many lifestyle factors such as sun exposure, travelling or general irritation, and needs a bit of calm. – Green Tea extract to calm and soothe skin. – Omega-3 helps to boost skin hydration. The directions for the Hemp is to apply in the in the morning and evening and apply a pea-sized amount to cleansed skin and gently massage into the to face and neck. Use after serums. I’ve never used any hemp based skincare products before so I didn’t know what to expect with this especially as it’s an ‘oil moisturiser’. 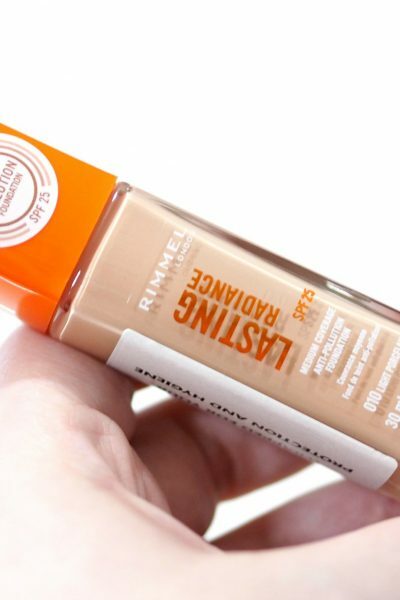 The consistency is a little thick and it feels lovely and rich for my dry skin, with amazing viscosity as a pea sized amount spreads over the skin amazingly well. Once massaged into the skin, my skin is so silky and soft which is why I love it underneath my makeup as it’s very hydrating and plumps my dry and dehydrated skin so nicely. 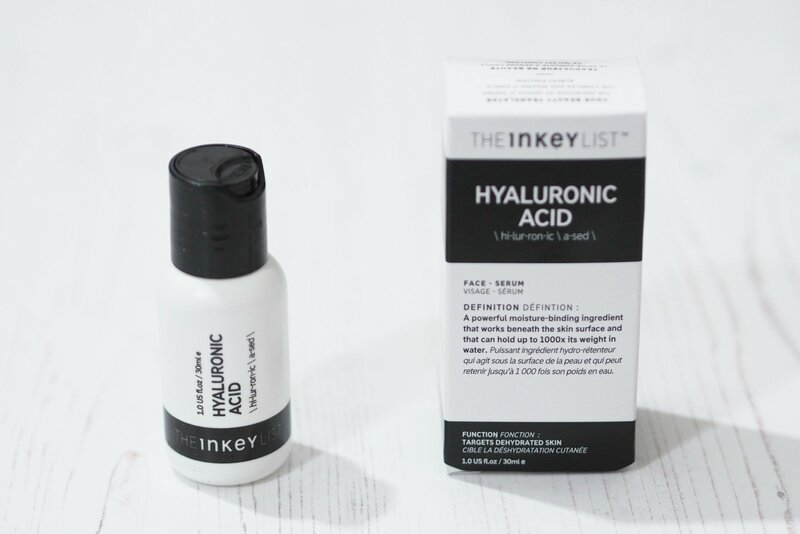 Ensuring skin is hydrated is essential for healthy looking skin making The INKEY List Hyaluronic Acid Serum a must-have. Hyaluronic acid is a powerful moisture-binding ingredient that works beneath the skin surface and can hold up to 1000X its weight in water. Naturally found in the skin to maintain hydration, Hyaluronic Acid levels gradually reduce over time which can result in dullness, fine lines and uneven tone and texture. Hyaluronic Acid works as a magnet for moisture, helping your cells retain as much of it as possible so that your skin feels and appears hydrated, plump and healthy. – 2% Pure Hyaluronic Acid. – Low and high molecular weight, to ensure penetration beneath the skin surface for maximum hydration. – Matrixyl 3000 to aid collagen production for added plumping effect. Hyaluronic Acid is a hero ingredient for skin and something that’s recommend for everyone. It’s gentle, hydrating and can actually aid the efficacy of your other products. For this reason it’s recommend using it as your first serum, straight after cleansing and toning. The Hyaluronic Serum can be used both morning and evening and with a pea-sized amount applied to clean skin by patting gently. It can be used with other serums and followed with your moisturiser of choice. 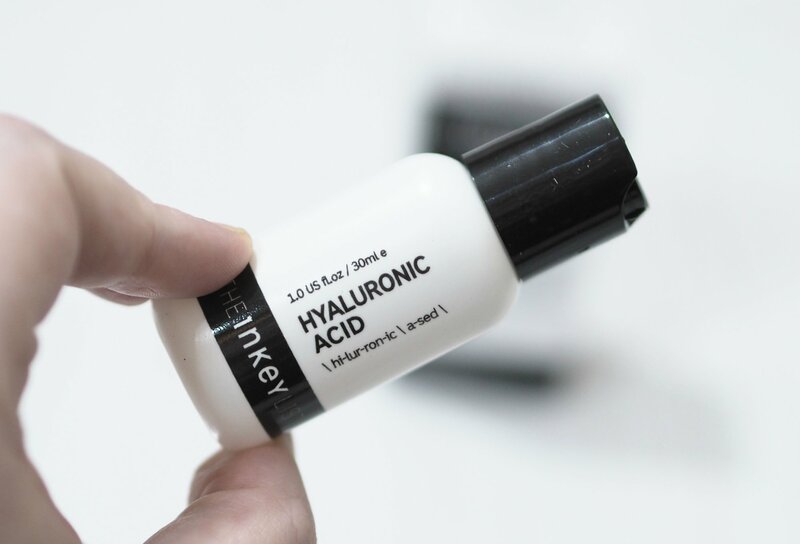 I love hyaluronic acid as it’s so effective at adding some much needed hydration to my skin and I just wish this bottle was a little bigger as it’s my favourite The Inkey List product. The bottle is a little strange for a thin serum consistency and I feel it would be better in a pipette bottle or a tube as you can’t really control how much you dispense very well. I’ve never seen a serum in a bottle like this before?! It leaves no residue on the skin and I’ve used it religiously morning and evening since I got it as my dry skin loves it and I’ve already purchased a back up but I’m going to decant it into another bottle as this packaging is awful but don’t let that put you off, it’s amazing and only £5!! 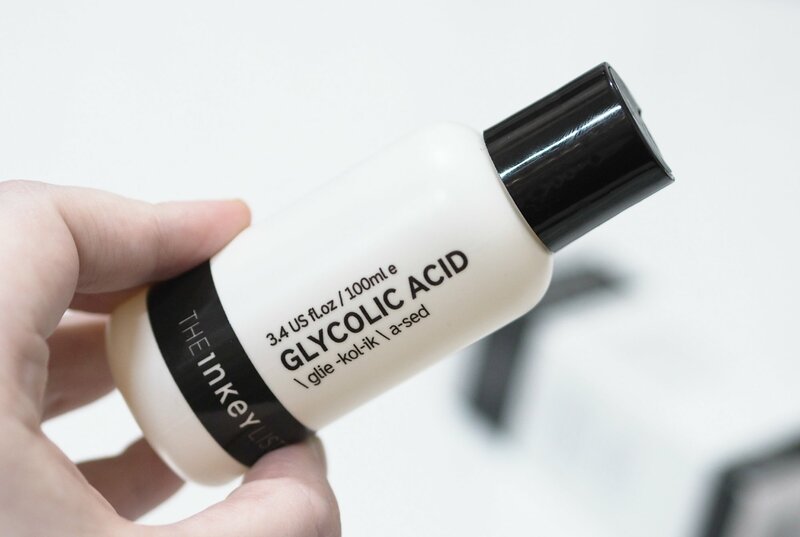 The INKEY List Glycolic Acid Liquid Toner targets large pores and brightens skin tone. Derived from sugar cane, this essential ingredient helps to remove dead and dehydrated skin cells from the surface. Glycolic acid is type of an AHA (Alpha Hydroxy Acid). It gently exfoliates the skin by working to unglue dead skin on the surface that can make the skin appear dull and pores lager. Using AHAs increases cell turnover and skin sheds naturally, to reveal a brighter and more even skin tone. – 10% Glycolic acid helps to keep skin looking healthy at a safe concentration. – 5% Witch Hazel to help minimise excess oil. AHAs are a gentle and effective way to exfoliate the skin, you just need to ensure you’re using them right and not overdoing it. If you’re new to AHAs, we advise using every other night to begin with. Glycolic Acid penetrates deeper that other AHAs and is ideal for those with more visible skin concerns such as large pores. If you want something more gentle or have more sensitive skin you may wish to try Lactic Acid or other Alpha Hydroxy Acids. The Glycolic Acid is best used as part of your evening skincare routine by saturating a cotton pad and sweep across cleansed face and neck. Do not rinse off. Follow with serums and moisturisers. Start with one application every other night and increase to once daily if desired. 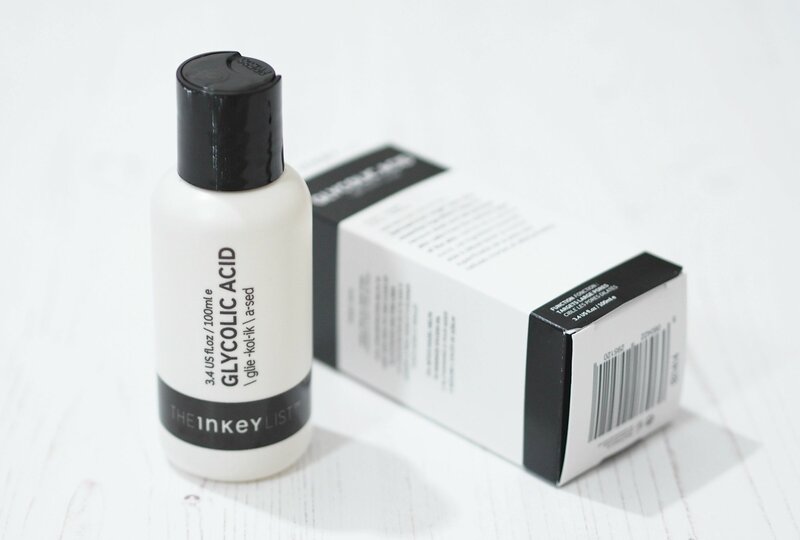 Acid toners are one of my favourite steps within my skincare routine as they really help with my dry patches so I couldn’t wait to try The Inkey List Glycolic Acid. This toner has 10% glycolic acid which is quite strong but my skin’s used to glycolic acid so I haven’t had any sensitivity issues. I really wanted to love this toner but I don’t find it to be as effective as the Pixi Glow Tonic, Alpha H Liquid Gold or the budget friendly Superdrug Naturally Radiant Toner. It’s quite gentle and drying on the skin, and it’s not something I’d repurchase as it didn’t wow me but if you haven’t tried a glycolic acid baser toner before, this might be a good starting toner to try. I’d love to know if you’ve tried anything from The Inkey List yet? Do you have any favourites? You can buy the whole range from Feelunique.